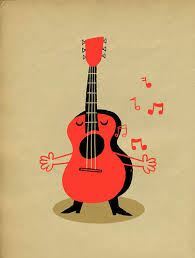 Guitar Groovers - 1st & 2nd Tuesday 1:00-3:00p.m. 3rd & 4th Tuesday 7:00-9:00p.m. Members of "Guitar Groovers" love to sing and/or play the guitar. We perform for schools, seniors and the community while raising some money for the club. If you would like to improve your skills at playing guitar or prefer to just sing a variety of Canadian, folk and rock & roll songs, this is the group for you. Our sessions are sprinkled with lots of laughs as we all become more proficient. Beginners are most welcome. We practise every week as the convenor's home. October 3 Stonehaven Manor Retirement Residence @ 2 p.m.
November 7 Granite Ridge @ 2 p.m.
November 18 "Enchanted Mosaic...an evening with the Arts" Earl of March S.S. @ 7 p.m.